Build your first grader's vocabulary skills by reviewing synonyms and antonyms together. 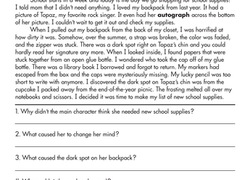 Context clues worksheets help your child read between the lines. 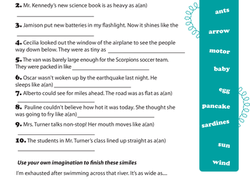 Try this context clues worksheet with your young reader to help him infer based on text. Use this resource to assess your students’ ability to determine word meanings from context clues. Try this synonyms worksheet with your third grader. 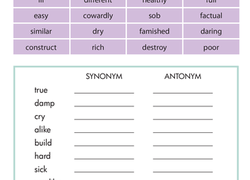 This synonyms worksheet gets your child to find words with the same meanings. If someone loses their glasses, are they as blind as a bee or a bat? 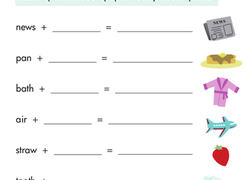 This fill-in-the-blank worksheet introduces your child to popular similes. This year four reading worksheet offers practise using context clues to determine the meaning of an unfamiliar word in a sentence. Can you tell the difference between a simile and a metaphor? Students will seek to distinguish between—and determine the meanings of—simple similes and metaphors with this multiple choice activity.